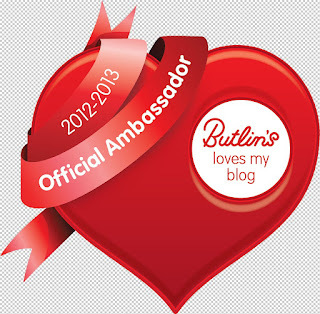 My Mummy's Pennies: Would you like to win a stay at the new Butlins Wave hotel? Would you like to win a stay at the new Butlins Wave hotel? Mummies! You may have noticed a new badge appear on my sidebar in the last month, it's a rather exciting one! After chatting to the very lovely and slightly Butlin's obsessed Tired Mummy of Two at a blogging event in July we applied to become Butlin's Ambassadors for 2012 / 13. And in August we were thrilled to find out our family have been chosen as one of the lucky forty! We're really honoured to have been selected and are very excited about visiting Skegness for our holiday next May! We love exploring the UK on short breaks and after visiting Wales last year and Scotland this year I'm really looking forward to discovering an area of the country that is new to me, not to mention the fantastic array of entertainment and activities available too! Butlins are running a competition on Twitter to win a family break for four at the Wave Hotel in Bognor Regis. It’s SO simple to enter, all you need to do is follow @Butlins and retweet one of their competition tweets which they will share 3 times a day. Once they reach 20,000 followers, one lucky follower who has retweeted will win an amazing break for their family at Wave Hotel and Apartments! The Wave is the newest addition to Butlin's Bognor Regis hotels. With its quirky under-the-sea design features, unique cabin-style kids rooms (with individual TVs and DVD players!) and a Games Port where you can take on your family on the Playstation, Wii, DS Lite, Mario Kart and Batak, it's the perfect choice for families with older children looking for a truly 21st Century holiday by the sea.